and receive from $500 to $35,000 as soon as the next business day. At 247LoanPros, we do most of the leg work for you. Simply complete the form and be connected with our wide network of lenders in minutes. At 247LoanPros, finding a loan is just one click and minutes away. We connect people who want to get up to $35,000. This is information about the Annual Percentage Rate (APR). The APR defines the rate of interest a borrower pays over the course of a year. It describes the costs to the borrower in a yearly rate. 247LoanPros cannot promise a specific APR. Our lending partners set the APR on loans. An APR can run between 5.99%-35.99%. Loan products have a 61 day minimum repayment term and a 72 month maximum repayment term. However, a lender can charge an APR that does not fall within that range. Read the terms of your loan carefully before accepting and signing a loan contract. Though each lender has to operate within the state laws that govern them, they have their respective approaches to handling late payments. A loan is an agreement between you and the lender to fully repay the loan by the time agreed. Depending on your agreement with your lender, if you are late for the agreed payment, a lender may add fees, send to a collections agency, and/or report your late, partial or non payment to a consumer reporting agency. These policies change per lender, so please make sure to consult your lender to find their respective policies. A personal loan is an online loan that can range from $500 to $35,000. The specific loan amount that a borrower can secure depends on the consumers unique credit situation. Additionally, Personal Loans do not require collateral but rather your signature is needed to accept the loan offer. These loans are a quick and convenient way to borrow the funds you need today. You can request one from the comfort of your own home have the funds deposited to your account as soon as the next business day. 247LoanPros’ services will always be provided free of charge, but that is not to say that the lender will give you a loan for free. Your lender will charge you fees and/or interest and must provide you with full disclosure of their loan terms upon approval. It is then your responsibility to read through the terms before signing your loan agreement. What is the highest loan amount I can receive? Each lender may handle tardy or missed payments according to their own policies. Those who enter a loan agreement with a lender must pay the agreed upon amount on the schedule that is outlined in each loan agreement. While most lenders may be understanding about occasional late payments, it’s important to note that lenders may charge borrowers a penalty fee when they make a late or partial payment, or if they miss a payment entirely. Read your loan agreement or contact your lender to learn more about penalty charges that could be accrued. Complete the form as fast as 2 minutes at the top of the page. We have lenders waiting to help you get the money you need and to answer any questions you may have. 247LOANPROS IS NOT A LENDER. 247LoanPros.com (the "website") is not an offer or solicitation to lend. The website only provides a service and is not an agent, representative, or broker of any lender and does not endorse or charge you for any loan or product. The website 247loanpros.com may contain affiliate links that may result in a commission. The website operators are not lenders, do not make loans of any type, and do not make credit decisions. The website collects personal information provided by you and forwards it to partners in our lender network. You are under no obligation to use this website or service to initiate, contact, nor apply for credit or any loan product with any service provider or lender. Loan amounts vary from $500 to $35,000 but not all lenders can provide up to $35,000. Providing your information on the website does not guarantee you will be approved for a loan or credit product. Cash transfer times may vary between lenders and may depend on your individual financial institution. In some circumstances faxing may be required. If you have any questions, contact your lender directly for details, questions, or concerns regarding your loan or credit product. 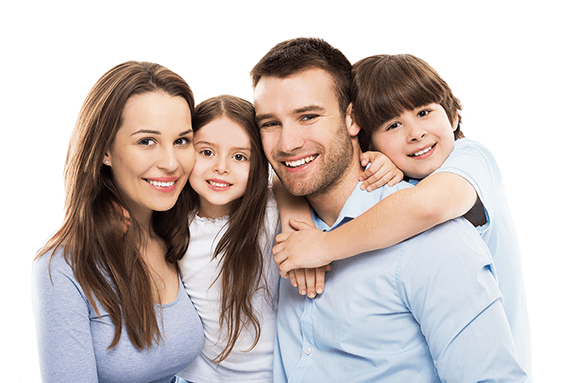 Short-term cash loans are meant to provide you with short-term financing to solve immediate cash needs and should not be considered a long-term solution. This service and lenders are not available in all states. Lenders may perform credit checks with the three credit reporting bureaus: Experian, Equifax, or Trans Union or may perform alternative credit checks or consumer reports through alternative providers. 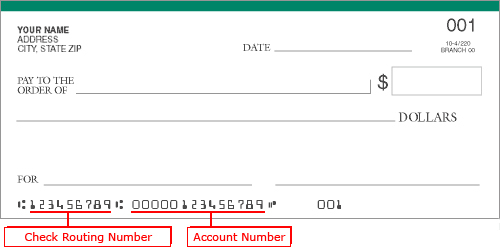 By submitting your request, you acknowledge, agree, and authorize that (a) your information may be sent to lenders and/or third-party partners on your behalf, and (b) such lenders may obtain consumer reports and related information about you from one or more consumer reporting agencies, such as TransUnion, Experian and Equifax to evaluate your creditworthiness. Introduction. Thank you for visiting 247LoanPros.com (“Website”), which is operated by 247LoanPros. 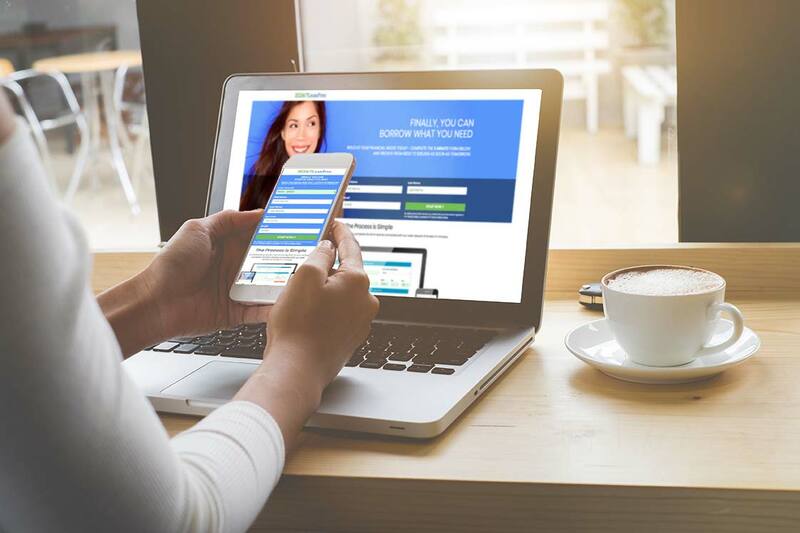 Throughout this Website, the terms “we,” “us” and “our” refer to 247LoanPros, which offers this Website to you conditioned upon your acceptance of all terms, conditions, policies and notices stated herein. License. This agreement provides you with a limited, non-exclusive, non-transferable, non-sublicensable, and revocable license to use this Website solely for your personal use or your internal business purposes. You may not (i) use, copy, store, reproduce, transmit, distribute, rent, lease, sell, transfer, license, sublicense, or commercially exploit this Website in any manner not expressly permitted by this agreement; (ii) modify, alter, decompile, dissemble, reverse engineer, translate, or make derivative work of this Website; (iii) interfere, access, link to, use any source code contained in this Website; or (iv) erase or remove any proprietary or intellectual property notice contained in this Website and other services provided by 247LoanPros. Copyrights and Trademark. All content within this Website, including without limitation all software, graphics, text, design, images, illustrations, databases, user interfaces, visual interfaces, audio, design, structure, arrangement, products and information (collectively, “Content”) of this Website are owned, controlled, and licensed by 247LoanPros and/or its licensors. Any rights granted in this agreement are expressly licensed and revocable at any time in the sole and absolute discretion of 247LoanPros. You shall not, nor will you allow any third party to reproduce, modify, display, perform, publish, distribute, disseminate, create derivative work from, broadcast or circulate to any third party, or otherwise use, any Content without the express prior written consent of 247LoanPros. 247LoanPros and all other names, logos and icons identifying 247LoanPros and its products and services are proprietary trademarks of 247LoanPros and/or its affiliates, and any use of such trademarks without the express written permission of 247LoanPros is strictly prohibited. SMS and Auto Dialed Calls. By entering your contact information into 247LoanPros, you expressly request to receive information via telephone call, email and/or SMS/text message, including through the use of an automatic telephone dialing system or artificial/prerecorded voice, SMS/text message, even if your telephone number is listed on any internal, state or federal Do-Not-Call registry list. Consent is not a requirement to purchasing the goods or services that 247LoanPros is offering. You may opt-out by replying “STOP” to any message that you receive and you may requested additional assistance by replying “HELP”. Up to 15 recurring monthly messages per month. Standard message and data rates may apply. Representations and Warranties. You represent and warrant to 247LoanPros that (i) you are at least 18 years of age; (ii) you are authorized to enter into this agreement; (iii) you will not use this Website or the Contents herein for any purpose or manner that violates any laws, regulation or that infringes the rights of 247LoanPros or any third party; (iv) any information or data you provide to 247LoanPros will not violate any law, regulation or infringe the rights of 247LoanPros or any third party; (v) all information that you provide to 247LoanPros in connection with this Website (e.g. name, e-mail address, phone number and/or other information) is true and accurate; and (vi) you are authorized and able to fulfill and perform the obligations and meet the conditions of a user as specified herein. Warranty Disclaimers. 247LOANPROS DOES NOT WARRANT, GUARANTEE OR MAKE REPRESENTATIONS REGARDING YOUR USE, OR THE ULTIMATE OUTCOME OF YOUR USE OF THIS WEBSITE, IN TERMS OF AVAILABILITY, ACCURACY, RELIABILITY, COMPLETENESS, INTENDED PURPOSE, QUALITY, FUNCTIONALITY, OR OTHERWISE. THIS WEBSITE AND MATERIALS CONTAINED HEREIN ARE PROVIDED TO YOU “AS IS” AND “AS AVAILABLE” WITHOUT ANY WARRANTIES OF ANY KIND, WHETHER EXPRESS OR IMPLIED, INCLUDING, WITHOUT LIMITATION, ANY IMPLIED WARRANTIES OF MERCHANTIBILITY, TITLE, NONINFRINGEMENT, FITNESS FOR A PARTICULAR PURPOSE, AND ANY WARRANTY OUT OF COURSE OF DEALING, USAGE OR TRADE. Limitation of Liability. YOU AGREE THAT 247LOANPROS WILL NOT BE LIABLE FOR ANY INDIRECT, INCIDENTAL, CONSEQUENTIAL, SPECIAL, EXEMPLARY OR PUNITIVE DAMAGES, INCLUDING, WITHOUT LIMITATION, DAMAGES FOR LOSS OF PROFITS, USE, LOSS OF DATA, LOSS OF SECURITY ARISING OUT OF OR IN ANY WAY CONNECTED TO YOUR USE OF THIS WEBSITE, OR OF INFORMATION OR MATERIALS AVAILABLE THROUGH THE WEBSITE, WHETHER BASED IN CONTRACT, TORT, STRICT LIABILITY, OR OTHERWISE, EVEN IF 247LOANPROS HAS BEEN ADVISED OF THE POSSIBILITY OF DAMAGES. IN PARTICULAR AND WITHOUT LIMITATION, TOTAL LIABILITY OF 247LOANPROS FOR ANY REASON WHATSOEVER RELATED TO YOUR USE OF THIS WEBSITE, RESULTS FROM USE OF THIS WEBSITE, OR FOR ANY CLAIMS RELATING TO THIS AGREEMENT SHALL NOT EXCEED ONE HUNDRED DOLLARS ($100.00 USD). THE FOREGOING LIMITATIONS SHALL APPLY NOTWITHSTANDING ANY FAILURE OF ESSENTIAL PURPOSE OF ANY LIMITED REMEDY. SOME JURISDICTIONS DO NOT ALLOW THE EXCLUSION OF CERTAIN WARRANTIES OR THE LIMITATION OR EXCLUSION OF LIABILITY FOR INCIDENTAL OR CONSEQUENTIAL DAMAGES. ACCORDINGLY, OUR LIABILITY IN SUCH JURISDICTION SHALL BE LIMITED TO THE MAXIMUM EXTENT PERMITTED BY LAW. Indemnification. You agree to defend, indemnify, discharge, release and hold harmless 247LoanPros and its officers, directors, shareholders, employees, agents, representatives, affiliates, third party information providers, licensors, contractors and others involved in the delivery of products, services or information through this Website, arising from, in connection with or relating to (i) any breach or violation of this agreement by you; (ii) your failure to provide accurate, complete and current personally identifiable information requested or required by us; (iii) your access or use of our services; (iv) your transmissions, submissions or postings; and/or (v) any personal injury or property damage caused by you. You agree that the Indemnified Parties will have no liability in connection with any such breach or unauthorized use, and you agree to indemnify any and all resulting loss, damages, judgments, awards, costs, expenses, and attorneys’ fees and litigation expenses of the Indemnified Parties in connection therewith. DMCA Notice. Pursuant to the Digital Millennium Copyright Act (DMCA) Safe Harbor 17 U.S.C. § 512(c), if you believe that anything on this Website or service offered herein infringes any copyright that you own or control, you may file notice of such infringement, in compliance with the requirements of 17 U.S.C. 512(c)(3), with our designated agent at Sincerely, LLC. 7050 West Palmetto Park Road #15-345 Boca Raton, FL 33433 or info@247LoanPros.com. A copy of this legal notice may be sent to a third-party that may publish and/or annotate it. As such, your letter, with your personal information redacted, may be forwarded to the Chilling Effects Clearinghouse for publication. Foreign Users. 247LoanPros makes no representation that materials in this Website are appropriate or available for use in other locations. If you access this Website from outside the United States, please understand that this Website may contain references and/or links to products and services that are not available or are prohibited in your jurisdiction. Any user who is a resident of a foreign country agrees that (i) they have voluntary sought and established contact with 247LoanPros; (ii) they will not use, transmit, disseminate or upload any material, content, that would violate any applicable local, state or national laws or regulations of the foreign member’s country of resident; (iii) under no circumstance shall 247LoanPros be deemed liable under any laws other than the United States; (iv) his or her participation is governed by United States law and subject to the arbitration and venue provisions stated herein; and (v) consent to having their data processed in the United States. Governing Law. This agreement will be construed, enforced and governed in accordance with the laws of the State of California (but excluding Section 1283.1 of the California Code of Civil Procedure), without regard to any conflict of law principles. The state or federal courts in Los Angeles County, California will have exclusive jurisdiction and venue over all controversies in connection with this agreement, and you hereby consent to such exclusive and personal jurisdiction and venue. Any claim you may have against 247LoanPros must be brought within one (1) year after the cause of action arises, or such claim or cause of action is barred. You agree to waive any right to a jury trial in connection with any action or litigation in any way arising out of or related to this Agreement and that each party has the right to seek attorneys’ fees in any proceeding. Binding Arbitration. The parties agree to submit any dispute arising out of or in any way relating to this Site to binding arbitration conducted by a single arbitrator under the Commercial Rules of the American Arbitration Association (“AAA”) in Los Angeles, California, rather than a proceeding in a court of law. Any such arbitrator shall be knowledgeable in the subject area in which the dispute arises. All discovery shall be completed within sixty (60) days following the appointment of the arbitrator. Each party shall be entitled to representation by counsel, to appear and present written and oral evidence and argument and to cross-examine witnesses presented by the other party, provided that, where appropriate, the arbitrator may receive testimony via telephone, video or other electronic means of communication. The arbitration aware shall be in writing and the arbitrator shall provide written reasons for the award. The award of the arbitrator shall be final and binding on the parties hereto and may be enforced in any court of competent jurisdiction. The prevailing party in any action or proceeding to enforce its rights hereunder shall be entitled to recover reasonable attorneys’ fees and other reasonable costs, including fees of the arbitrator and the AAA, incurred in the action or proceedings. In no event shall the arbiter award punitive or exemplary damages. The parties waive any right they may have to an appeal of the arbitrator’s decision and/or award. Each party retains the right to seek judicial assistance: (i) to compel arbitration, (ii) to obtain interim measures of protection prior to or pending arbitration, (iii) to seek injunctive relief in the courts of any jurisdiction as may be necessary and appropriate to protect the unauthorized disclosure of its proprietary or confidential information; (iv) for any claims of infringement or misappropriation of 247LoanPros’s patent, copyright, trademark, or trade secrets; and (v) to enforce any decision of the arbitrator, including the final award. If any AAA rule conflicts with these Terms and Conditions, these Terms and Conditions shall control. By agreeing to arbitration, you agree that the parties are each waiving the right to file a lawsuit and the right to a trial by jury in any action in any way arising out of or related to this agreement. Notwithstanding anything to the contrary, any party to the arbitration may at any time seek injunctions or other forms of equitable relief from any court of competent jurisdiction. Notice of Claim. For all disputes you may have, whether pursued in court or arbitration, you must first give 247LoanPros an opportunity to resolve the dispute by providing written notification to info@247LoanPros.com and via postal mail to Sincerely, LLC. 7050 West Palmetto Park Road #15-345 Boca Raton, FL 33433 stating (i) your name, (ii) your address, (iii) a written description of your claim, and (iv) a description of the specific relief you seek. If 247LoanPros does not resolve the dispute within 30 days after it receives your notification, you may pursue your dispute as set forth above. No Class Actions. To the extent allowed by law, you and 247LoanPros each agree to waive any right to pursue disputes on a consolidated or class-wide basis; that is, to either join a claim with the claim of any other person or entity, or assert a claim in a representative capacity on behalf of anyone else in any lawsuit, arbitration, or other proceeding. You hereby understand that by agreeing to this class action waiver, you may only bring claims against 247LoanPros in an individual capacity and not as a plaintiff or class member in any purported class action or representative proceeding. Relationship of the Parties. The relationship between you and 247LoanPros is and shall be that of independent contractors and nothing in this Agreement shall be construed or used to create or imply any relationship of partners, joint venturers, or employer and employee, nor shall either party hold itself out as such. Neither party has any right or authority to incur, assume or create, in writing or otherwise, any warranty, liability or other obligation of any kind, express or implied, in the name of or on behalf of the other party, it being intended by both parties that each shall remain independent contractors responsible for its own actions. You may not assign or otherwise transfer this Agreement or the license granted hereunder or delegate any of your duties specified herein, in whole or in part, without 247LoanPros’s prior written consent. Any attempt of assignment, delegation, or transfer in violation of this Agreement shall be void, of no effect, and a material breach of this Agreement. Notwithstanding the foregoing, 247LoanPros may assign this Agreement in whole or in part. Moreover, 247LoanPros may delegate its rights and responsibilities or use contractors or agents to fulfill its obligations under this Agreement. Termination. 247LoanPros reserves the right at any time and on reasonable grounds, which shall include, without limitation, any reasonable belief of fraud, illegal activity, or actions or omissions that violate any term or condition of this Agreement, to terminate this Agreement with you in order to protect its name, business, or goodwill and/or any other user. You acknowledge and agree that 247LoanPros shall have the sole right to determine in its reasonable discretion whether you are engaging in any unauthorized activity and/or violating any term or conditions of this Agreement. Miscellaneous. The headings contained in this Agreement are for convenience of reference only, are not to be considered a part of this Agreement, and shall not limit or otherwise affect in any way the meaning or interpretation of this Agreement. If you have questions, comments, concerns or feedback regarding this Agreement or our Services, please contact us at info@247LoanPros.com. PLEASE TAKE NOTICE THAT THIS E-CONSENT IS REQUIRED BY ONE OR MORE OF THE LENDERS WITHIN OUR NETWORK TO WHOM YOU WILL BE REFERRED TO. IT DOES NOT GOVERN ANY COMMUNICATIONS FROM THE OWNER OF THIS WEBSITE. WE MAKE NO REPRESENTATIONS AS TO WHAT, IF ANY, COMMUNICATIONS YOU WILL RECEIVE FROM SUCH LENDER OR IF THIS NOTICE IS EFFECTIVE FOR SUCH COMMUNICATIONS. THE OWNER OF THIS WEBSITE GENERALLY AND SPECIFICALLY DISCLAIMS ANY AND ALL LIABILITY FOR USE OF THIS E-CONSENT DOCUMENT. Introduction. In order to offer you a loan, one or more of the third party lenders in our network need your consent to use and accept electronic signatures, records, and disclosures ("E-Consent"). This form from such lender, notifies you of your rights when receiving electronic disclosures, notices, and information. By clicking on the link assenting to this notice, you acknowledge that you received this E-Consent and that you consent to conduct transactions using electronic signatures, electronic disclosures, electronic records, and electronic contract documents ("Disclosures"). Scope of Consent. Lenders within our network have informed us that this E-Consent applies to all interactions online concerning you and the third party lender, and includes those interactions engaged in on any mobile device, including phones, smart-phones, and tablets. By exercising this E-Consent, the third party lender may process your information and interact during all online interactions with you electronically. The lender may also send you notices electronically related to its interactions and transactions. Disclosures may be provided online at our or third party lenders' websites, and may be provided by e-mail. Withdrawing Consent. Your E-Consent for our third party lenders' consideration of your loan request cannot be withdrawn because it is a one-time transaction. If you are connected with one or more third party lenders, you are free to withdraw your E-Consent with those third party lenders at any time and at no charge. However, if you withdraw this E-Consent before receiving credit, you may be prevented from obtaining credit from that lender. Contact the third party lender directly if you wish to withdraw this E-consent. If you decide to withdraw this E-Consent, the legal effectiveness, validity, and enforceability of prior electronic Disclosures will not be affected. CONSENT. BY CLICKING THE LINK, YOU ACKNOWLEDGE YOU HAVE READ THIS INFORMATION ABOUT ELECTRONIC SIGNATURES, RECORDS, DISCLOSURES, AND DOING BUSINESS ELECTRONICALLY. YOU CONSENT TO USING ELECTRONIC SIGNATURES, HAVING ALL DISCLOSURES PROVIDED OR MADE AVAILABLE TO YOU IN ELECTRONIC FORM AND TO DOING BUSINESS WITH THE LENDER ELECTRONICALLY. YOU ACKNOWLEDGE THAT YOU MAY REQUEST A PAPER COPY OF THE ELECTRONIC RECORDS AND DISCLOSURES, WHICH WILL BE PROVIDED TO YOU AT NO CHARGE. IF YOU REFRAIN FROM PROCEEDING THEN YOU NEITHER WISH TO USE ELECTRONIC SIGNATURES NOR CONDUCT THIS TRANSACTION ELECTRONICALLY. YOU ALSO ACKNOWLEDGE THAT YOUR CONSENT TO ELECTRONIC DISCLOSURES IS REQUIRED TO RECEIVE SERVICES FROM THIRD PARTY LENDERS OVER THE INTERNET. 247LoanPros works hard to protect consumers like you from unfair and illegal practices in the personal loan industry. In an effort to assist us in this goal of protecting you and helping you make an informed decision regarding personal loans, we offer the following code of conduct. Here at 247LoanPros, we make every effort to ensure that we work only with responsible lenders or lending partners who are authorized to lend cash to consumers in the form of personal / installment loans. Once you are connected with your lender or lending partner, we recommend that you look up the specific details on that company so that you know how to get in contact with them in case you have any questions or concerns. Each lender or lending partner also has their own terms and conditions in regards to interest rates, the requirements on repayment and the repercussions of being late on a payment, missing a payment or rolling over a payment. You should be sure to be aware of these specific terms and conditions. 247LoanPros strongly recommends that you pay all of your outstanding debt/loans/bills when they are due. This will ensure that you will have a good payment record and minimize negative repercussions. Each lender or lending partner that 247LoanPros works with has their own terms and conditions governing the specific implications of missing a payment. However, if the lender or lending partner does not receive a payment the likely result is that the lender or lending partner will begin collection procedures against you and you will no longer be able to receive any more loans from the lender or lending partner. Therefore, it is important for you to both understand the specific requirements for repayment and the repercussions of missing a payment. And, again we strongly urge you to pay all outstanding debts/loans/bills on time. Only a lender or lending partner can provide you with information on their rates and terms. This will typically happen shortly after your loan request is complete, and you are connected with a lender or lending partner. 247LoanPros does not make credit decisions or determine rates and terms. Remember, you are under no obligation to accept the loan offer if the terms are not satisfactory for whatever reason. Typically, a soft credit check is not needed by most lenders to gain access to your funds, in some cases, it is required prior to a lender extending a loan. You acknowledge, agree, and authorize that (a) 247LoanPros, it's providers, and respective agents may obtain consumer and related information about you from one or more consumer reporting agencies via soft credit check to assess your eligibility for credit and identify products/services you may prequalify for, (b) your information may be sent to lenders and/or service providers on your behalf, (c) your information may be used to verify your identity, (d) the lenders and/or service providers may obtain consumer reports and related information about you from one or more consumer reporting agencies (such as TransUnion, Experian and Equifax), (e) and your information may be used by lenders and/or service providers to make prequalification and other credit decisions. If you do not agree with our Policy and practices regarding how 247LoanPros handles your personal information, you should not use our Website. Accessing or using this Website signifies and confirms your acceptance of the terms set forth in this Policy. This Policy may change from time to time in our sole discretion. Accordingly, you should visit this Website and review the Policy periodically to determine if any changes have been made. The date on which this Policy was last updated will be noted immediately above this Policy. Disclosing Your Information. As a general rule, 247LoanPros will not share, sell or otherwise distribute your personal information without your consent. However, 247LoanPros may disclose personal information that we collect or you provide as described in this Policy (i) to fulfill the purpose for which you provide your information; (ii) for any other purpose disclosed by 247LoanPros when you provide us your information; (iii) to third party service providers who assist us in operating this Website, conducting our business or serving our users, so long as such information is kept confidential; (iv) with affiliated entities; (v) to comply with any court order, law, legal process, and/or government or regulatory request; (vi) as part of a liquidation or bankruptcy proceeding, to a buyer or other successor in the event of a merger, reorganization, dissolution or divestiture of some or all of 247LoanPros’s assets. Data Retention and Security. By accessing and navigating through this Website, you hereby acknowledge and agree that 247LoanPros may retain your information indefinitely. Please note that any transmission of personal information is at your own risk. Commitment to Online Security. 247LoanPros will exercise all reasonable efforts to safeguard the confidentiality of your personal information. However, transmissions protected by industry standard security technology and implemented by human beings cannot be made absolutely secure. Consequently, 247LoanPros shall not be liable for unauthorized disclosure of personal information due to no fault of 247LoanPros including, but not limited to, errors in transmission and unauthorized acts of third parties.